Home Commerce Headless Commerce Why is it so hard to monetize experience? 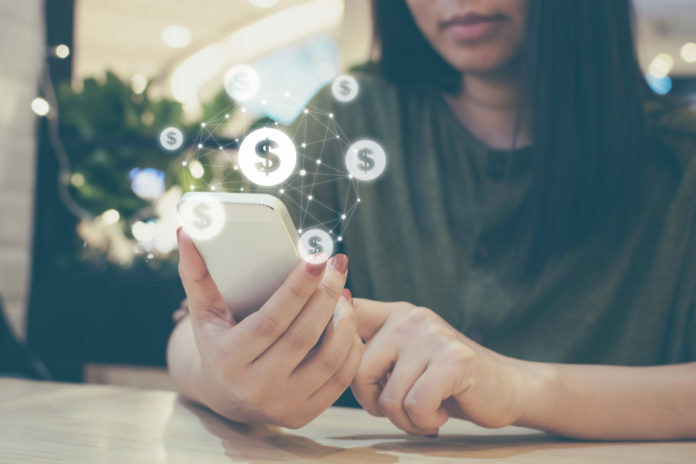 For a number of brands, the challenges to experience monetization opportunities are dictated by the limitations of brittle, monolithic systems and legacy platforms. 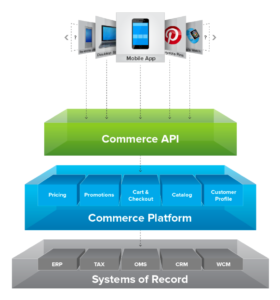 Traditional ecommerce systems couple the front-end presentation layer with the commerce engine. This creates siloed solutions for mobile, web and other channels, limiting a business’ ability to launch new, consistent modes to engage the customer. Adding new front-end experiences involves working with backend code, and this requires the involvement of specialized resources. Other brands choose to delegate their online shopping experiences to single-stack turn-key solutions. While these systems’ impact on a business’ operations are less significant than monoliths’, they share the same limitations from an experience monetization standpoint. They were built with tightly coupled front ends and commerce engines and purposely architected for a web-commerce dominated shopping paradigm. This is to serve consumers a digitized equivalent of the brick-and-mortar store, however there is an explosion of emerging touch-points these systems struggle to address (Gartner predicts that 25 billion connected devices will be in use by 2020). A catalogue-based engagement model, with a brand-centric conversion funnel and highly prescriptive interactions, is going to be a major let down for a consumer used to the fluid relationships applications like Uber or Starbucks’ mobile app are able to offer. While they are quintessentially systems for digital commerce, single-stack turn-key solutions end up powering limited experiences that reflect an ‘analog’ construct of consumerism: brand-centric, one-directional, prescriptive, undifferentiated, poorly adaptable to alternative consumption modes or channels. Sometimes buyers are intimidated by this type of approach because they fear that carrying out parallel technology evaluations can become burdensome for them. 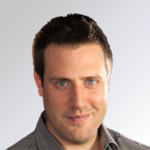 Even though they recognize the long-term benefits of decoupling their ecommerce architecture, in a best-of-breed context they need to assess during the buying process, in a reactive mode, what solution is the best fit for a minimum viable product in which they need to bring together a number of systems, so that they can iterate from there afterwards. At times, they get stuck on a no decision and stay on their brittle monolith. Or alternatively they settle for a single-stack turn-key solution knowing it’s not the right fit for them, because they wrongly believe that at least this will be the less effort-demanding approach they can take to effect some change in the short-term and buy some time. In both cases, they get left behind, while change sprints past them.